After coffee we took a tour around some of the research labs, seeing a variety of things that, I must honestly admit, I really struggled to understand. One group are using very high power laser pulses in a variety of ways, including to accelerate sub atomic particles, on a scale of tens of metres, rather than the tens of kilometres required at CERN. There are hoped to be many practical spin offs, particularly in the fields of medical physics. 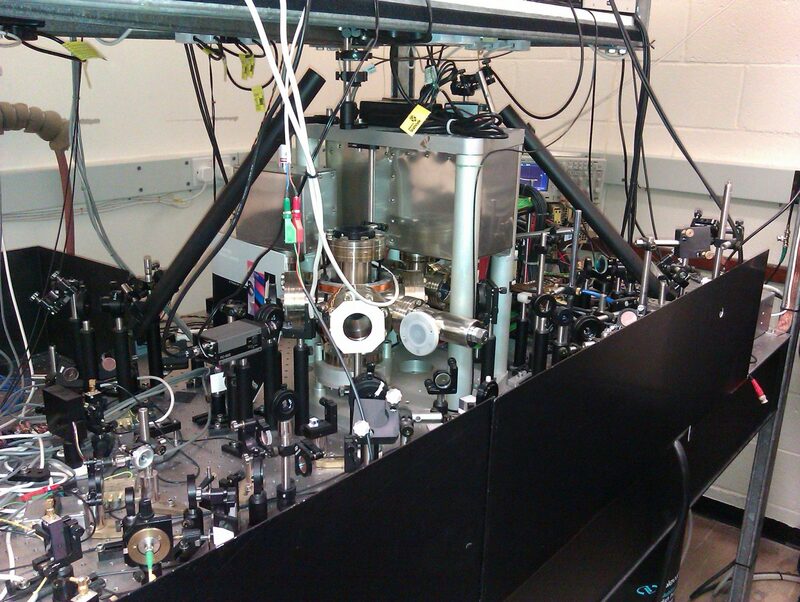 Another group uses lasers to cool matter to very low temperatures, removing energy from atoms until they reach a temperature in the region of 10 nK (just 10 billionths of a kelvin above absolute zero). 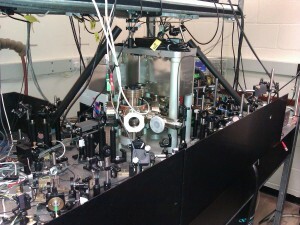 At such low temperatures the sample changes to a peculiar state of matter known as a Bose-Einstein Condensate (BEC). The experiment is set up using CCTV cameras to observe the sample, which produces an image very similar to an interference pattern when the BEC state is achieved. Unfortunately the presence of a dozen bodies in the confined space of the lab made it very difficult to lower the temperature sufficiently - we were radiating too much heat! After lunch we left Strathclyde University to visit Whitelee Wind Farm where we were shown the visitor centre and given a tour of the site. Despite having visited Whitelee many times myself, I have never been on the tour, which takes visitors on a short trip around the wind farm in an all-electric bus. The tour was highly informative about the windfarm in all respects, dealing with the design and function of the turbines, their installation and maintenance and the environmental issues surrounding the facility. Despite the conditions we all stepped outside to take a look at one of the turbines up close, before returning to the visitor centre to warm up. After dinner Stuart Farmer showed us a simple, but brilliantly effective, exercise in handling uncertainties. Involving no more complex a measuring instrument than a ruler, some plastic cups and marbles, this activity gives an excellent insight into the real significance of uncertainties and could easily be used with pupils at all stages. 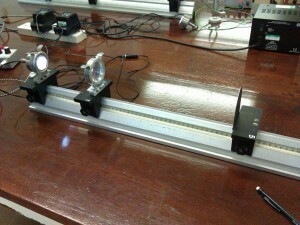 I will certainly be using it with my new AH Physics class when the senior pupils return from study leave.